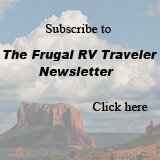 The following article was written exclusively for frugal-rv-travel.com as a guest post. If you are looking to finally book that trip with your family or your friends, then you will have had to endure having to save some money up and spend hours trawling sites online for the cheapest flights and accommodation. This is standard practice for most people who are going on holiday, but there are a few other things that you should be taking into consideration as well to ensure you have no mishaps along the way. The last thing you need when you are on holiday is to find out that you cannot access your cash because there is no connection to your bank when you get to your destination. Smaller banks are great when you are at home, but if you are their customer, then make sure you check that you can get access to your money while you're away. If you find that you need to withdraw cash whilst you are away, do it once and once only. Using cash machines abroad will guarantee charges for the service. You will be charged for the conversion to whichever currency you are using, and for the transaction. So, instead of taking money out as and when you need it, save yourself on charges and take it all out at once. An essential rule is to notify your bank when you travel abroad. If you don't, your bank might freeze your account if they choose because you are trying to make transactions abroad. They will only do this with the best intentions and in case your card has been lost or stolen so be sure to let them know. Make sure you have booked through a reputable and trusted company that isn't going to let you down. Eclipse Leisure is an example of the sort of reliable company you should be looking for. Be safe, but be careful as well. If you are planning on taking travellers cheques with you instead of cash, then make sure that they are accepted and check out the fees involved when cashing them in. If you are paying by card and are asked the question whether you want to pay in your currency or the country's; be wary. The best option is to choose their currency so you know that the bank decides the conversion rate and not the vendor. Credit cards can bring the same problems as taking cash out abroad. You are likely to be charged a fee for using your card abroad and these fees can be quite high. If you need to use a credit card, then it might be a cheaper option to take cash from a cash machine. Don't wait until the airport to change your money! Airports don't offer the best rates so you will be getting less for your money. If you are leaving it until you arrive, then you might be better off using a cash machine. Make sure you have a backup. If you are using your bank card abroad, then make sure you have a bit of cash or a credit card as backup. Sticking to one form of payment means that you are going to be in big trouble should your card go missing! Be careful and make sure you always lock doors. Keep your bags locked if you can; it's better to be safe than sorry. It probably won't happen to you, but you don't want to end up having your belongings stolen when you are so far from home. Finally, don't overlook the possibilities out there. Excursions cost a fortune on top of the holiday you have already paid for. There are usually a few fantastic places to see which are completely free so look them up. Museums, historical sites; there will be plenty that can give you a great day out for nothing. Whatever you do, be careful! After saving, planning and finally arriving at your holiday destinations, the last thing you want is to have any worries to ruin your stay. Have a fantastic time! Going on holiday means spending money so make sure you are prepared before you go. The last thing you want when you arrive is to find issues revolving around money. Be careful and have the best time. Angelina Jennifer is a freelance writer based in United Kingdom. A keen reader, and inspired by the authors of fiction, she loves to write about vacations and travel. When not writing professionally about how Eclipse Leisure provides amazing Stag Weekends in Newcastle, you'll usually find her spending time with her partner and niece.